We will begin our Green Isle adventure in Dublin where we will get our first taste of this warm and historic country. After two nights in Dublin, we will head west to Galway and the Wild Atlantic Way. 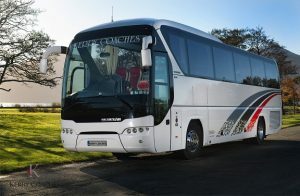 We will have a chance to explore Galway City and the following day visit the spectacular Cliffs of Moher. 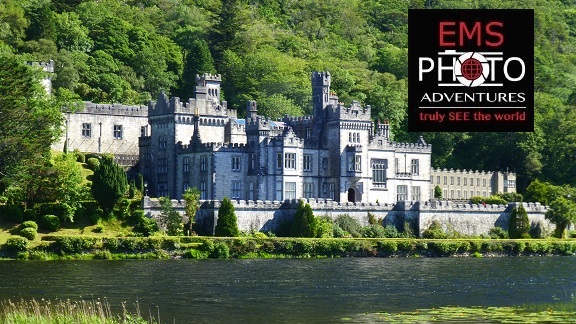 Next on the agenda is Clifden from where we will take two days in the area to visit the photogenic Kylemore Abbey and Victorian Botanical Garden and Connemara National Park. We will continue our journey towards Castlebar, stopping along the way to take the Killary Fiord Boat Tour; visit the beautiful Leenaun Village, and spend time at the Glen Keen Sheep Farm for demonstrations of sheep herding and wool spinning. What tour of Ireland would be complete without a stop at an Irish cemetery – Killeen Cemetery – followed by an afternoon at Rosserk Friary/Abbey built in 1460. 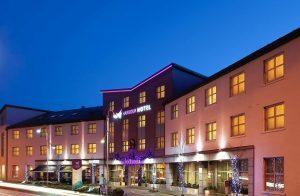 We will continue to Sligo for a one-night stay at the Raddisson Blu Hotel and Spa. After a morning on picturesque Streedagh Strand, a long sandy beach with sand flats and salt marshes, we will continue on to the fabulous Slieve League Cliffs, where you feel like you are standing on the very edge of the world. After an overnight stay in Dungloe, we will take a morning flight from Donegal back to Dublin where you will have time to explore Dublin’s vibrant city before we have our farewell dinner. If you require any assistance please fill out the Tour Enquiry form which can be found by clicking the Tour Enquiry Tab, alternatively please email info@bracktours.com and a member of our team will be in contact. Dinner and refreshments will be served. You will awaken this morning to your first glimpse of Ireland’s forty shades of green. Connamara National Park – N59 continues east towards Connemara National Park, which is an area with awe-inspiring landscapes. What this place lacks in hype it makes up for in substance. About 4000+ hectares of natural beauty that covers mountains, coastlines, bogs, heaths, grasslands and forests is untouched by man. The star attractions here are the purple moor grass that swathes the land with color. Even if you don’t get out of the car, the drive itself is too scenic for words. That’s not all you’ll find; there’s remnants of old settlements – villages centuries old and megalithic tombs about four millennium old. Take a 90 minute Killary Fiord Boat Tour on a luxury boat for uninterrupted views of the spectacular scenery on Killary Fjord, Ireland’s only fjord. The inlet boasts some of the finest scenery in the West of Ireland. Because of its sheltered nature, the waters are always calm. 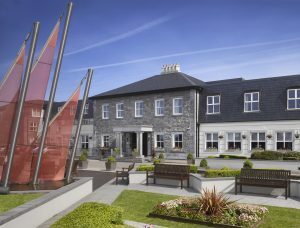 Harbour Hotel is owned and run by MHL Hotel Collection, owned by the Galway based Lally family. 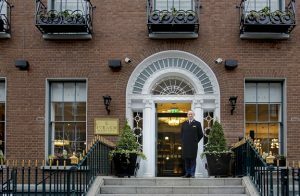 Guests will enjoy the first-hand experience of true Irish hospitality. Many team members at Harbour Hotel are from the West of Ireland, others have been captivated by the charm of life in Galway City and have decided to call it home. All share a passion for the culture, spirit and beauty of Galway and enjoy sharing the best of their local knowledge with visitors to the area. This commonality instils a sense of community within the team at Harbour Hotel, we take great pleasure in working together to create a friendly, inviting atmosphere where our guests feel comfortable and well taken care of. 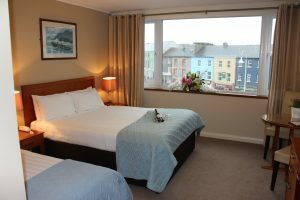 When you come to stay with us in Galway city you can expect excellent service from people who enjoy what they are doing and want to help you to make the most out of your stay. We are very proud of the team we have assembled and they are delighted to be able to assist you throughout your stay. 4* Breaffy House Hotel in Mayo offers traditional old world Irish charm and hospitality complimented by magnificent grounds for rambling. Retaining some of its original country house atmosphere, the house dates back to 1890 and is an excellent base for a relaxing break in Mayo. Surrounded by the gorgeous countryside of Rosses Point, the Radisson Blu Hotel & Spa, Sligo offers majestic views of Sligo Bay and the neighbouring mountains. Take advantage of the outdoor recreation afforded by the beautiful landscape, including golf at championship courses and surfing at the beach, just 3 kilometres away. The stylish yet cosy rooms of this Sligo hotel are the perfect place to rest while touring the Wild Atlantic Way. 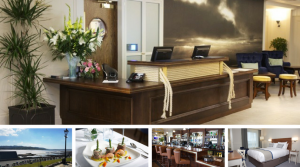 Winner of a AA Rosette, Classiebawn Restaurant offers Sligo guests the finest in local cuisine and international favourites prepared under the watchful eye of Executive Chef Joe Shannon. The Waterfront Hotel, Donegal’s newest 4 Star resort offers a fusion of contemporary chic and classic elegance where you can relax and unwind in ultimate luxury.